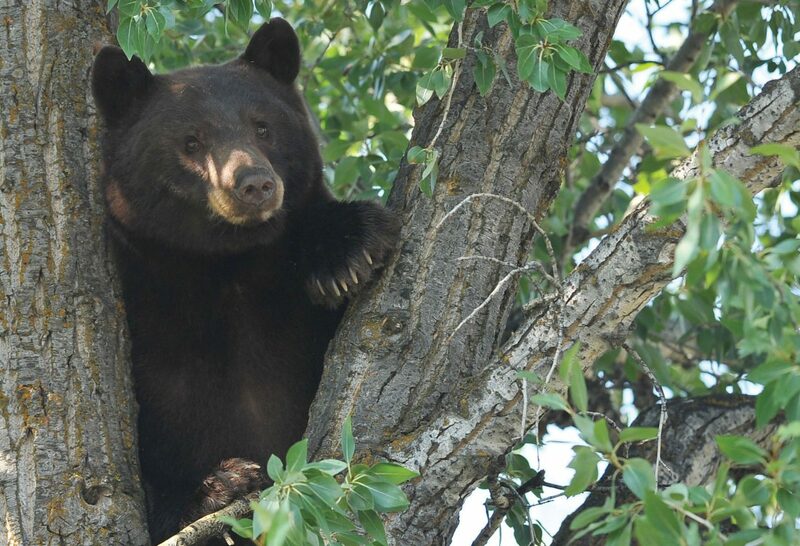 Steamboat Springs — Counting black bears in Colorado is a tough task. Wildlife officers can’t spot the solitary animals easily from helicopters like they do herds of elk and deer. Instead, officers across the state rely on complex population models that take into account such things as the abundance of certain types of bear-friendly habitat and hunter success rates. Here in Steamboat Springs, the count got more scientific during the past two years when officers deployed some wire and some burlap strips scented with strawberry, butterscotch and dead fish to help gauge the density of the black bear population north of this city. When a curious bear moved in to investigate the scent in a tree, some of its hair would get snagged on the wire surrounding the tree. The hair then was collected and sent out for a DNA analysis. Wildlife officials now have the results from the first round of those surveys in 2012. Colorado Parks and Wildlife terrestrial biologist Jeff Yost said the snags detected about 85 bears in the sample area that extended roughly from Steamboat to Clark and from Wolf Mountain to Fish Creek Falls. “What we found in that area was about one bear for every 4 square miles,” Yost said. Yost cautioned that it would take years and years of this sort of testing to get a more reliable count. “This first year we hit the lower end of our population estimate,” he said, adding that annual counts depend on a number of factors. “We don’t want to base any solid population estimate off of that” first year. The 2013 results are expected this summer. Yost said estimates of the bear population in a region that spans Moffat, Routt and Jackson counties range from a low of 850 bears to a high of 1,400 bears. He said years of bear counts done in southern Colorado near the Spanish Peaks yielded varying results. “The longer they’ve done it, they’ve realized there’s quite a bit of variability. To get a long-term trend, we’ve got to do this a lot of years,” Yost said. He said the results do help officials test whether their population models are valid or way out of whack. But they require funding and manpower that is not sustained in a single location. This year, the bear surveying moves to Middle Park.